BLOG: Hallelujah - whose is the best version? 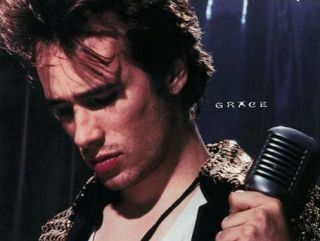 Buckley's Hallelujah appeared on 1994 album Grace. Music fans in the UK have been getting into a bit of a state about the fact that the winner of this year's X Factor seems set to release a cover of Leonard Cohen's Hallelujah. In fact, Jeff Buckley fans are so enraged that they've started a campaign to get his (definitive?) version of the song back in the charts (it was at number 43 in last week's rundown). Personally, I think there's a certain irony in the fact that people are protesting about someone covering a song that only became truly famous when another artist covered it. In fact, there are already many, many recorded versions of Hallelujah. This being the case, is one more really going to hurt anyone? (Presuming it's not sung by that little pug-faced Irish chap, obviously.) It's worth remembering that the song has already been used on countless TV and film soundtracks, so it's hardly sacrosanct. We've collated clips of several Hallelujahs - take a look and let us know which you think is best, or if there's another version out there that needs to be brought to our attention. If you want authenticity, surely you have to go with the guy who wrote it? Here's a clip of Len singing his song live. The one everybody knows. Buckley's cover became all the more poignant after he drowned in 1997. Buckley's may be viewed as the ultimate cover - though we haven't heard what JLS can do with the song yet - but it was actually inspired by Cale's. This version is arranged for piano and strings. Another Cale-influenced reworking, Wainwright's Hallelujah appeared in 2001 movie Shrek. When you're shaking your fist at the X Factor winner, remember that this was an animated film about a big green ogre. If you want a stripped-back rendition, this vocal-only performance (do we hear a bit of Auto-Tune in the mix?) might be a favourite. It was the soundtrack to Marissa's death in US TV fluff-fest The O.C. A 1994 performance that was recorded for Later With Jools Holland. Presumably, boogie-woogie piano was deemed surplus to requirements. These are just a few of the notable Hallelujah covers. If you still want more, take a look at how Sheryl Crow and Damien Rice got on with it. Oh, and while you're listening to Bob Dylan's version, keep reminding yourself that Rolling Stone voted him the seventh greatest singer of the rock era.